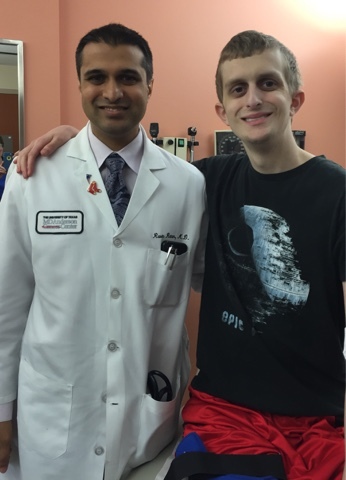 Robbie went to see Dr Ratan and his PA today for the last time! He will come back every three months. 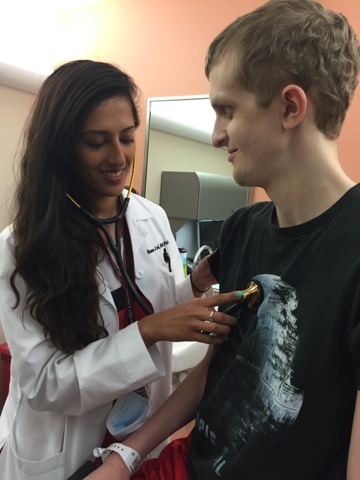 We are so thankful for the excellent care Dr Ratan has given Robbie the past several months! We are also thankful to the head of the sarcoma center that picked all of Robbie’s doctors. His wife knows our niece Margaret, who told them about Robbie. Robbie has an MRI this evening to double check his legs. His blood counts will take time to recover. His liver functioning test has been off the last couple times, so they will run another test to check it out. The next steps are therapy for his leg. He will go to Dr Linn (his surgeon) next week. He will give us a better idea when we can transfer Robbie’s physical and occupational therapy to Oklahoma. West University has an indoor pool. It requires a resident to go with you to receive a membership. By the week or mos. I am so happy to hear this long straight road finally has a turn in it for you.